He's an inspiration, an undefeated MMA athlete, and he's far from satisfied. This fighter has the heart of a lion and the killer instinct of a great white shark. When he smells blood, it's bad news! 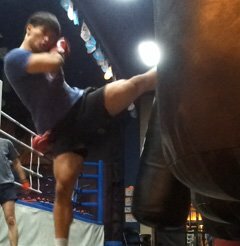 I started lifting because I wanted to gain more size and strength for kickboxing when I was 14. Since then, weight training has been a huge part of my training routine and daily life. Later on, as I started to learn more about supplements and nutrition, I gained more than 60 pounds of muscle in just four years. I moved on to MMA about a year ago and I can't even explain how much bodybuilding has helped me in the ring and in the octagon. Four years ago, everyone told me that I had terrible genetics; that I should just give up. Four years later, everyone tells me that I'm lucky to be naturally born with good genetics. I say "No. It is not luck, and I don't have good genetics. I just didn't give up." What Workout Plan Worked Best For You? I use FST-7 for strength training and HIIT for endurance training. I also apply an 8-week microcycle plan on my training program, which means I change up the number of repetitions I perform on a weekly basis to keep my body guessing, growing, and improving. I only hit failure on the second to last set of each exercise. I hit failure after force reps and drop sets on the very last set of each exercise. For example, if I am doing bench press for four sets, I will be hitting failure on the third set, and hitting failure with force reps while using drop sets on the fourth set. What Nutrition Plan Has Worked Best For You? My daily calorie intake comes from 30 percent protein, 50 percent carbs, and 20 percent fat. I usually eat around 100-200 grams of rice, 200 grams of lean meat, 100-200 grams of vegetables for lunch and dinner, depending on how many crabs I want. What Supplements Have Given You The Greatest Gains? I stick to the basics including BCAAs, fish oil , multivitamins, beta alanine, and creatine. My supplement plan is basically the same every day. On non-workout days, I don't use a pre- workout product or any stimulants. I also use cycles with all my stimulant-based and creatine supplements, following an eight weeks on and four weeks off cycle. Why Do You Love Bodybuilding? I don't believe in fate, or the word impossible. Everyone has dreams. In order to make dreams come true, it takes an awful lot of determination, dedication, self-discipline, and effort. However, only a very few of these people are willing to sacrifice and pay the price to become who they want to be. If you fail, there is no one to blame but yourself. I want to achieve my dream with my own hands. This is why I love working out. What Motivates You To Follow A Healthy Lifestyle? "Motivation is a fire from within. If someone else tries to light that fire under you, chances are it will burn very briefly." Stephen R. Covey. My dream and my determination are the only two things that kept me going. There was really nothing and almost no one around that motivates or even encourages me to live out my dream. Due to the lack of opportunities around me, I have been doing all I could to remain committed to my goal and training. I have been doing MMA and weight training for about four years, and I have been training extremely hard on my own, hoping that one day I will be able to fight in the UFC. People were telling me that it was an impossible goal and that it's impossible for me to do this and that, but I have proved them wrong over and over again. I became a semi-professional MMA fighter when I was 17. I'm currently holding an 8-0 MMA record. I don't believe in fate, and I don't know what my future is going to be like, but I know that all the sacrifices I made will make sense to me one day. What Made You Want To Achieve Your Goals? "Look at a day when you are supremely satisfied at the end. It's not a day when you lounge around doing nothing, it's when you've had everything to do and you've done it!" --Margaret Thatcher. Life is too short to be wasted. My dream is to fight in the UFC. I want to achieve my dream because MMA and weight training are what I love to do, and I do what I love. If I had to live again, I would do exactly the same thing. I am going to continue training hard and working toward my goal. 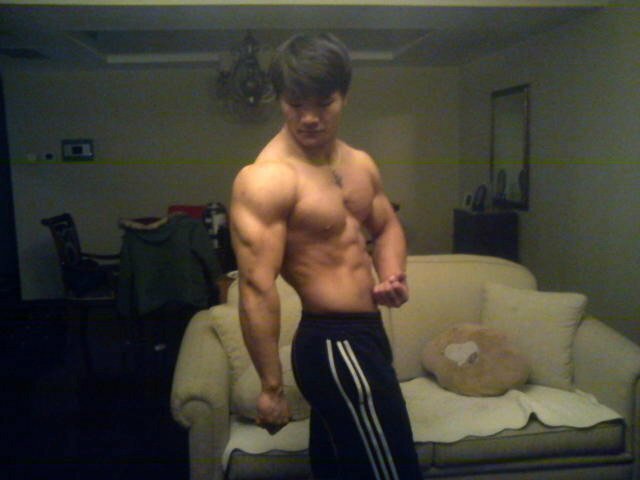 Due to the lack of opportunities in both MMA and bodybuilding in China, my options were very limited. However, in two months, I will move back to Vancouver for college. I will be studying kinesiology, and hopefully I will be able to achieve more over there. What One Tip Would You Give Other Bodybuilders? Be ready to pay the price to become who you want to be. I see many people talk about their goals, but they never do anything about it or they just give up after trying for a while. They all have excuses; really good ones. What Features Do You Use On Bodybuilding.com? I just started using BodySpace and I love it. It's a great way to meet new people and keep track of my progress. I also love the articles on the SuperSite and learn a lot from them. Bodybuilding.com honors amateurs across all categories for their hard work, dedication, and great physiques. Learn how our featured amateurs built their bodies and hit their goals! 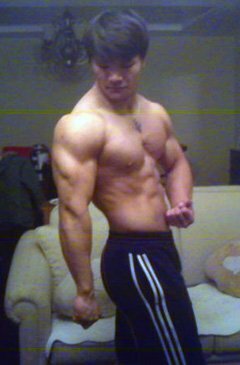 Bodybuilding.com proudly presents amateur teen competitors! Teen amateurs from all over the world have been submitting their profiles right here for years!